I am an Assistant Professor of Computer Science at Boston University and an affiliate of the Center for Information and Systems Engineering (CISE). 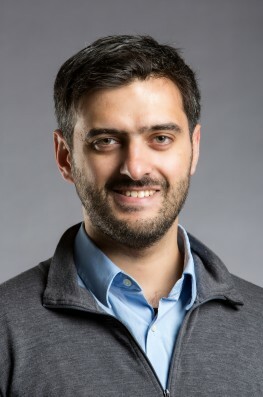 My research focuses on applying mathematical techniques from discrete and continuous optimization to design algorithms for computational challenges arising in a variety of applications, including Machine Learning, Numerical Analysis and Combinatorial Optimization. See my Publications page to find out more about my research. You can also see my CV. I am looking for Ph.D. students that are broadly interested in Algorithms and\or Convex Optimization. Please __contact me directly__ with your application materials if you are interested in this opportunity. Jelena Diakonikolas. Postdoc 2016-2018. Now Microsoft Research Fellow at the Simons Institute for the Theory of Computing. Starting in Spring 2020, Assistant Professor in the Department of Computer Sciences at University of Wisconsin, Madison. Page generated 2019-01-22 12:07:27 EST, by jemdoc.